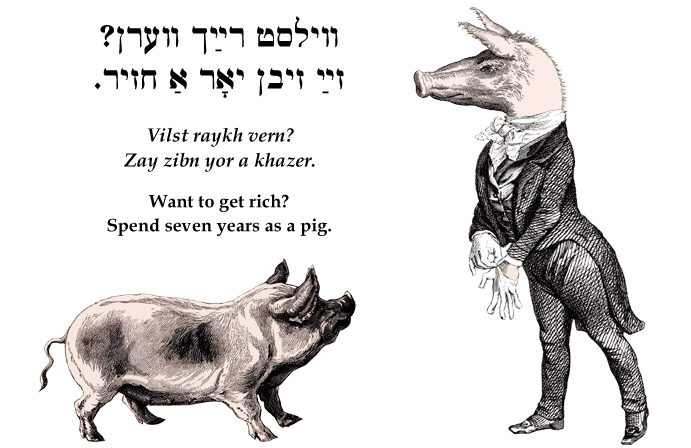 Yiddish Wit: Want to get rich? Spend seven years as a pig. ‏ווילסט רײַך ווערן? זײַ זיבן יאָר אַ חזיר. Vilst raykh vern? Zay zibn yor a khazer. Want to get rich? Spend seven years as a pig.